Montway's blog Industry News Do Car Shipping Companies Offer Rental Car Relocation? Do Car Shipping Companies Offer Rental Car Relocation? Some people might assume that managing a fleet of rental cars is easy because the cars essentially move themselves from place to place, but the reality is they’re not necessarily going where you need them to be. Your fleet is an expensive asset and one that depreciates from day to day, so getting the most mileage out of it is important. The key is moving your cars from where they’re going to sit idle to the cities, hubs, and airports where they’re going to be rented out. Knowing where your fleet needs to be so you get the maximum return on your investment is one thing. Getting the cars there is another. Rental companies have four main options when it comes to fleet relocation: work with car shipping companies, pay employees to move cars to busier locations one at a time, use freelance drivers, or entice renters to move your fleet for you by pricing certain city-to-city rentals at rock bottom prices. There are pros and cons to each method of rental car relocation, and if you don’t look at them carefully you can end up spending a lot of money moving cars between branches. As noted above, you may simply be relocating rental cars to the branches that need them. Renters often rent cars in major metro areas or at airports and then return them at branches in smaller towns where there’s not as much demand. You want the majority of your fleet to be waiting at high demand locations as often as possible so you can keep up. We know that coordinating fleet availability is a daily challenge for most car rental companies. That isn’t the only reason you might need to shift your fleet around, however. Maybe you’re adding to your inventory and need to get your newest cars to those high demand locations where they’ll generate the biggest return on investment. Or it could be that a formerly slow branch has seen a big boom in business and you want to shift cars to it so it can meet demand and you don’t lose customers to local competitors. And finally, you may be retiring a portion of your fleet and working with the manufacturer or a reseller to find your older cars new homes and car shipping companies will typically handle those kinds of bulk shipments. It might seem like the manufacturers are getting the shorter end of the stick in these buyback deals, but it’s actually a solid marketing strategy. It’s not unusual for people to eventually purchase a model of car they enjoyed driving as a rental, and selling vehicles in bulk to rental companies is an easy way to keep sales numbers high for a specific vehicle model. However, even if you’re purchasing new fleet cars outright, you’ll still be dealing with manufacturers and you’ll still need to get new cars to your branches. Many manufacturers have contracts with car shipping companies already in place, and you may be able to have your vehicles delivered. If not, it may make sense for you to build a relationship with an auto transport company. According to some surveys, most car rental companies keep their vehicles between four months and two years. That might seem like a huge range, but you have to remember that cars in big cities will see more road time and some cars will have maintenance issues that take them out of rotation faster. Once a car hits a certain mileage cap, it will be pulled out of the fleet, but your company may have an age limit that marks the end of a rental car’s useful lifespan. A vehicle could hit the age limit before hitting the mileage cap. And of course, there are market forces at play. A specific model of vehicle might be taken out of your fleet to be sold on the used market if it’s in high demand. The biggest players in the industry – Enterprise Holdings, Hertz and Avis/Budget – buy about two million vehicles per year and turn over more than 90% of their inventory annually. That means a lot of car shipping companies are moving a lot of vehicles for rental companies across the US. As you might imagine, your shipping needs will be very different depending on whether you’re replacing an entire branch’s inventory with new vehicles or you’re shifting cars between cities. Rental car relocation isn’t just one thing, after all. Below, we outline the different relocation options, laying out the pros and cons of each. Assuming your employees are properly licensed and the distance is reasonable, you can assign them the task of moving vehicles from city to city. On the pro side, you’re already paying these employees for their time and you can be reasonably sure they will drive carefully and take good care of your vehicles. They’ll also understand how important it is that they stick to a schedule since they know what goes into managing a fleet. On the con side, this isn’t an option for bulk rental car relocation and your employee will be off-site for some of their usual working hours leaving the rest of your staff scrambling to pick up the slack. There is a huge network of people out there who pick up extra cash ferrying cars and trucks from city to city on a freelance basis. Some of these drivers (often retirees) will work repeatedly for the same car rental companies. The biggest pro of hiring professional freelance drivers is that they’re usually inexpensive. The cons are that you won’t necessarily be able to properly vet freelance drivers and you may find that the ones you use regularly aren’t always available when you need them. Unlike solo freelance drivers, car shipping companies have experience managing vehicles and working within set timelines, so they’ll understand your company’s needs. There are a lot of pros to working with an auto transport company, whether you’re moving individual cars in your fleet or replacing inventory. For instance, you can move cars in bulk on carriers, which is useful when you’re replacing old inventory. 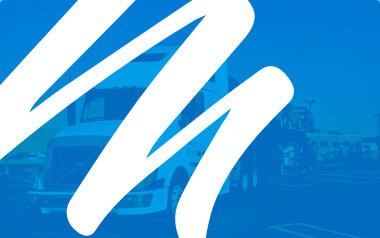 You’ll know your trucker is qualified and insured. Car shipping companies will guarantee the safety of your vehicle. You may be able to get a discount for bulk relocation (Contact us for more information) and there will be no wear and tear on your vehicles, so they can stay in your fleet longer. The two cons you’ll run up against are price, so always look into possible bulk discounts, and departure timing, which may be less flexible in some rare cases. Your final option is to offer deeply discounted prices on certain city to city rentals so renters are inspired to take your vehicles on a one-way trip to the branch that needs them most. To ensure the safety of your vehicles, you can try partnering with one of the many services that coordinate these types of rental car relocations and (in some cases) also vet drivers. The pro of using renters is that you’re moving cars from branch to branch along a path they would have traveled anyway, so the relocation isn’t putting on unnecessary mileage. The biggest con is that there are no guarantees. Drivers who rent one of your vehicles through a relocation service may have falsified their records or failed to disclose a criminal background. And if there are no drivers available, you’re out of luck. 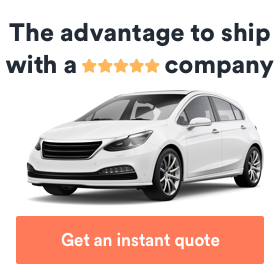 Should you partner with a car shipping company? That depends. Do you find that you’re trying to move a lot of cars from branch to branch at once? Have you maxed out the capacity of employees qualified to drive vehicles from smaller branches to larger ones or back to your airport locations? Then the quick answer is yes. Drawing up a long-term contract or a partnership with one auto transport company that can help you with rental car relocation can take a lot off your plate. At that point, all you need to know is what vehicles need to go where and when they need to get there. Your car shipping company will do the rest, freeing you up to focus on building your business.